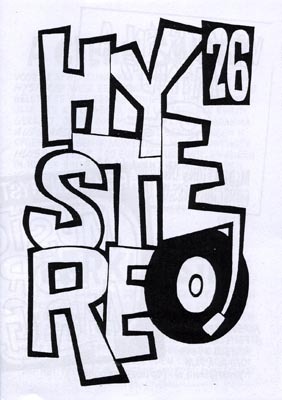 One of the zines that i used to make, is named Hystereo. It is about the outer edges of the musicworld, and ofcourse about my own collection. I started this zine in the eary 90´s, just before the pubication of Incredibly Strange Music. Within a few years collecting obscure and strange records became hip and a bit overrated. The photocopied zines are postcardsize and some come with a tape or CD. I made about 35 issues, which are all still available. The zines are postcardsize and some come with a tape or CD. I strongly recomment nobody to ask for a copy.